Nature's Path welcomes all to #pipeup and support renewable energy to help solve climate change and protect the planet we love. How we leave the earth is our collective legacy. RICHMOND, BC, May 29, 2018 /CNW/ - Today, Nature's Path Foods, North America's largest organic breakfast food company, is turning off its worldwide website, and replacing it with a message for urgent change to voice its opposition to the proposed pipeline expansion in western Canada, and to raise awareness for the importance of investing in infrastructure to support a low-carbon economy. The company's goal is to urge government and welcome all to join them on the path forward to renewable energy. People can visit NaturesPath.com to help raise awareness for renewable energy by downloading call-to-action artwork created by BC artists to share on their social channels (#pipeup), and to sign a petition asking the Canadian government to walk away from investment into fossil fuels and rather, invest in renewable energy to help solve climate change. "We believe businesses can be a force of good and have a critical role today to drive our future towards a low-carbon economy," says Jyoti Stephens, Nature's Path Vice President of People, Culture and Mission and second generation of the family-owned company. "Unless we pipe up and collectively push for change, the planet we love remains at risk. We are asking people to help raise awareness for the need for renewable energy and petition the federal government to say no to the proposed pipeline expansion." Nature's Path believes access to clean water and food free of contaminants is a basic human right, and the future of humanity depends on alternative solutions to fossil fuels. The proposed pipeline expansion means a seven-fold increase in coast-to-port tanker traffic in Vancouver, increasing the risk of an oil spill disrupting sensitive aquatic and animal habitats plus BC's coastline, while leaks along the pipeline path can contaminate farmland impacting food production and the livelihood of many. "Nature's Path has a long and proud history of doing what we believe is right for the planet," adds Stephens. "We believe the expanded pipeline deepens our dependency on fossil fuels and further contributes to climate change, plus it presents an increased risk of a catastrophic leak impacting the health of our precious agriculture land and water systems." Nature's Path operates with a commitment to sustainability with the goal to be climate neutral by 2020. The company's path to contribute to a future low-carbon economy ranges from supporting green energy projects throughout North America by purchasing renewable energy credits, to using all organic ingredients in its products preventing over 19,000 tons of synthetic fertilizers from being used on farmland over the past two years alone. All of the company's manufacturing plants are Zero Waste Certified and Nature's Path was the first cereal company in North America to receive this designation in 2016. 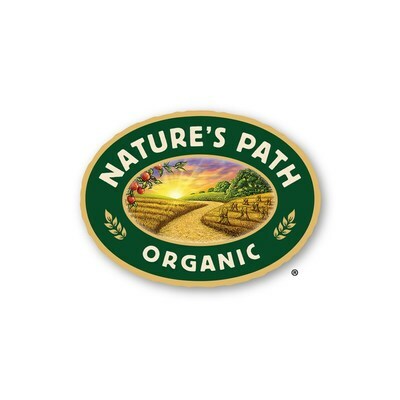 Nature's Path Organic Foods, is a privately held, family-owned company, producing USDA and Canadian Certified Organic and Non-GMO Project Verified breakfast and snack foods sold in grocery and natural food stores in over 50 countries around the world. Committed to the triple bottom line— socially responsible, environmentally sustainable and financially viable, Nature's Path works diligently to support communities and champion the cause of people and planet. Brands include Nature's Path®, Love Crunch®, Qi'a®, Que Pasa®, Flax Plus®, and EnviroKidz®. Founded in 1985, Nature's Path is headquartered in Richmond, British Columbia and employs hundreds of valued team members at its four facilities in Canada and the United States. For more information, visit http://www.naturespath.com/or follow on Twitter @NaturesPath and Instagram @NaturesPathOrganic. SOURCE Nature's Path Foods Inc.